John A. Chiocca is a Board Certified Specialist in Florida Construction Law. He holds an AV Preeminent® rating from Martindale-Hubbell® with a 5.0 out of 5.0. Mr. Chiocca is also OSHA 30 certified, having completed 30 hours of OSHA Hazard Training for the Construction Industry. For over twenty years, Mr. Chiocca has represented many of the country’s leading insurance carriers, assisting them in finding effective solutions to their legal challenges. Mr. Chiocca has extensive experience in defending both insurance companies and their insureds. From beginning to end, Mr. Chiocca works with insurance adjusters to investigate and evaluate claims appropriately, determine the liability exposure for the insured and any negligence on the part of the plaintiff, arrive at case management strategies, and aggressively defend insureds when necessary. Additionally, Mr. Chiocca has experience in interpreting insurance policies and litigating coverage issues. Mr. Chiocca also helps businesses from other sectors in resolving their litigation matters. The scope of his practice extends from traditional insurance-related issues to complex litigation in state and federal courts. Mr. Chiocca commonly advises general contractors, subcontractors, and contracting governmental entities regarding their civil litigation needs. Mr. Chiocca also focuses on Environmental Bodily Injury and Property Damage claims. His practice includes extensive experience with Chinese drywall sulfurous off-gassing, environmental/toxic spills, CPVC environmental stress cracking from incompatibility with ABF II cutting agents, mold, mildew, fungi, bacteria, radon, carbon monoxide poisoning, and Legionnaire’s disease claims. Mr. Chiocca is approved by the Florida Department of Financial Services as a continuing education instructor in the areas of Adjuster Law and Policy, Adjuster Ethics, Agent Ethics, General Lines (Property & Casualty), Health, Industrial, Fire, and Unlicensed Entities. He is also approved by the Florida Department of Business and Professional Regulation to offer continuing education to Community Association Managers. He earned his Bachelor of Science degree in Economics and Political Science at the Florida State University and his Juris Doctor at the University of Virginia School of Law. During law school, he served on the editorial board of the Virginia Tax Review. Mr. Chiocca is admitted to the Florida Bar and the Bars of the United States District Court for the Northern, Middle, and Southern Districts of Florida, the United States Court of Appeals for the Eleventh Circuit, and the Supreme Court of the United States. He is the co-chairman of the Premises Liability Committee of the Florida Defense Lawyers Association. 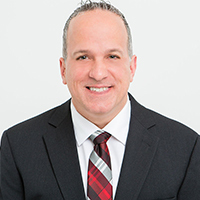 In addition, Mr. Chiocca serves on the Construction Law Committee of the Real Property, Probate and Trust Law Section of the Florida Bar and on the Construction Law Committee of the Palm Beach County Bar Association. Mr. Chiocca is a life member of the Florida State University Alumni Association.